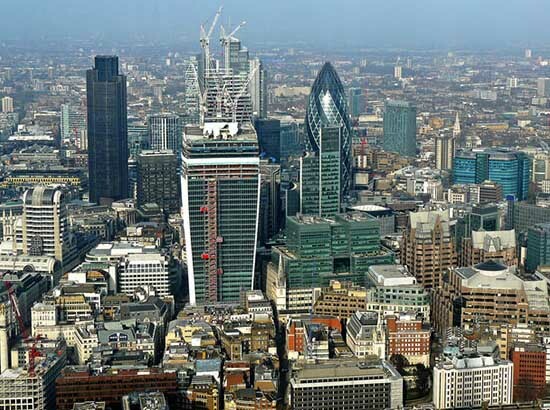 With Skyfarm, London-based architecture firm Rogers Stirk Harbour + Partners won the sustainability award at the international property event MIPIM hosted in Cannes, France, on 16 March 2016. 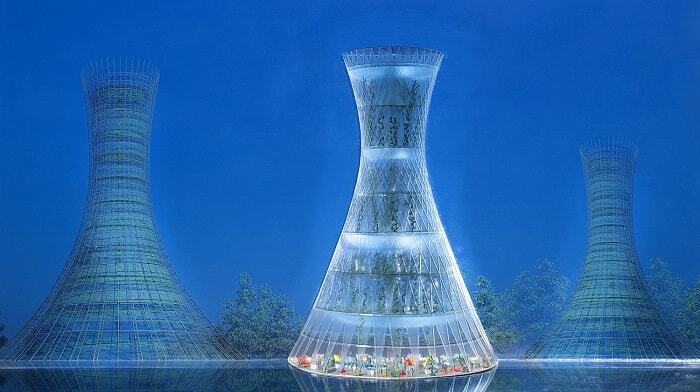 This green tower combines urban farming and energy generation with renewables in one building.  The award received exclusively celebrates excellence in unbuilt or incomplete projects and is strongly focused on creativity, innovative and outstanding architecture as well as considering impacts and contributions on communities around them. 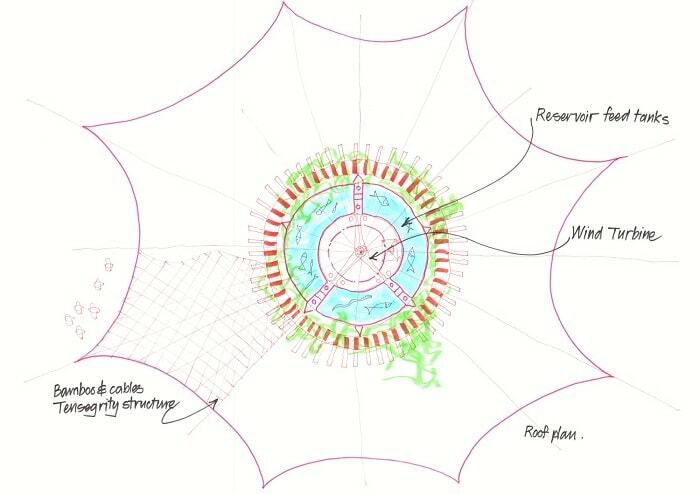 Skyfarm a serious alternative to produce crops within high-density urban areas? 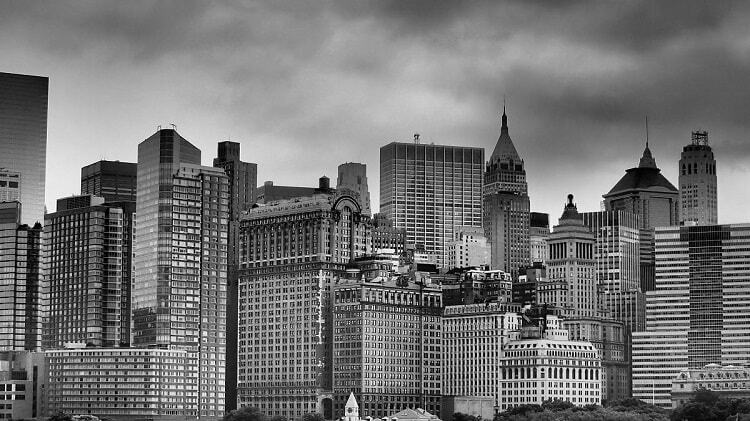 Skyfarm is not a common building. It is also not a common Green building. 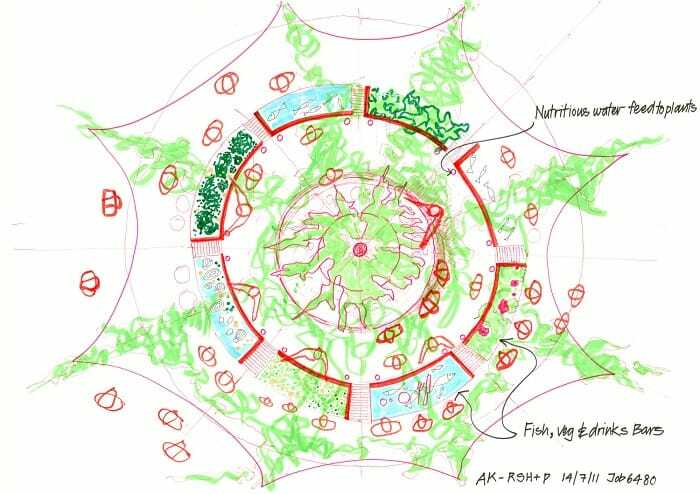 The project, initiated 2015 in Milan, proposes an alternative to the typical land-intensive farming systems. The aim is to produce as many as possible food and clean energy in a minimum of space. 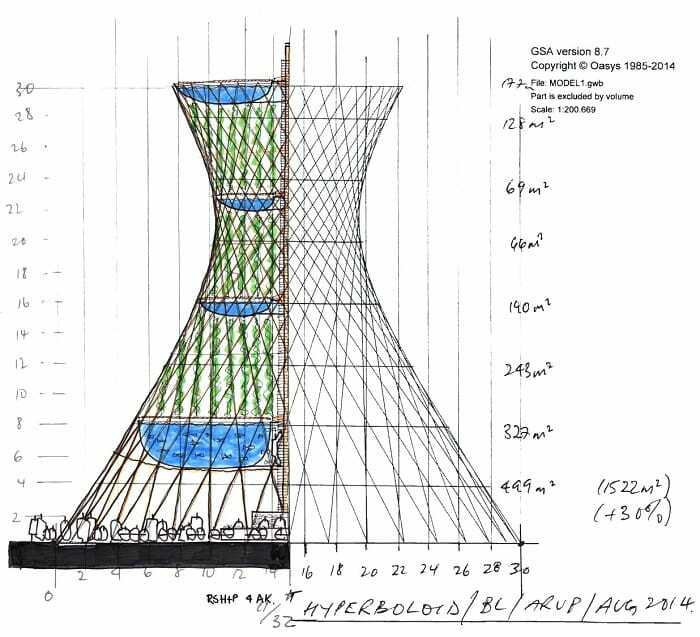 Hydro-, aero- and aquaponic technologies are integrated into this vertical farm. It is probably a soon requested concept. 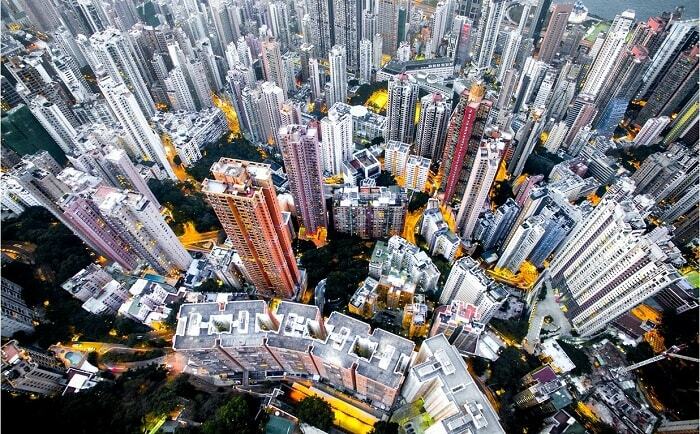 Around 80 percent of the earth’s population will live in urban conurbations by 2050. 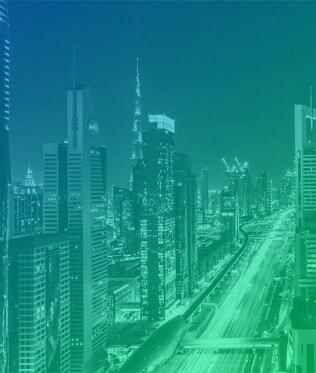 Considered that the earth’s population is expected to grow by an additional 3 billion people up to the year 2050, Skyfarm can be a serious alternative to produce crops within high-density urban areas. 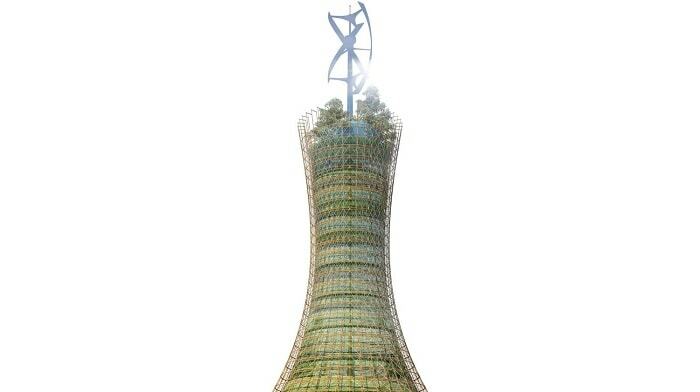 Skyfarm with its rigid circular bamboo frame provides many storeys and a maximum of sun exposure onto the farm. The re-circulating system, made of several layers of agricultural cultivation and an aquaponics system, enables the growth of crops and fish together on a very small base area. Nutrients derived from fish waste can easily be used as fertilizer for the plants. 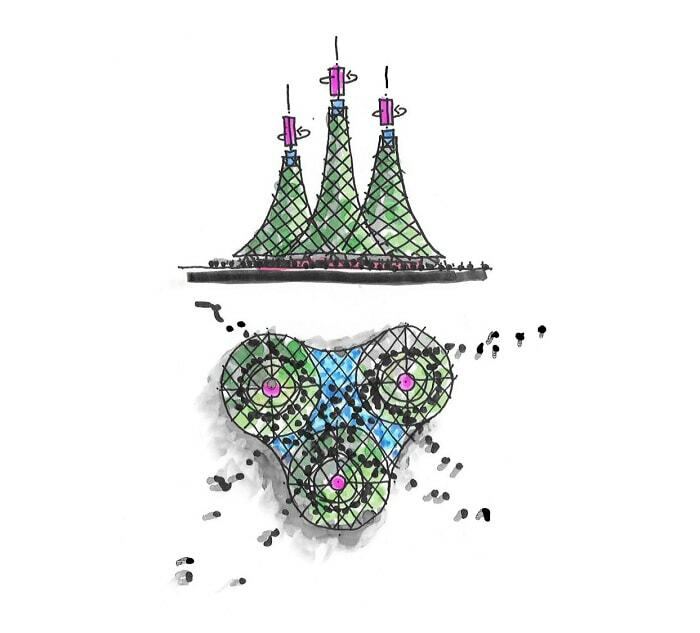 The zoned structure allows an efficient use of water and nutrients. Plants are grown hydroponically instead of using soil. The agricultural products can be sold without costly and polluting shipment at the ground level. There, a market or restaurant is placed for the public. Additionally, Rogers Stirk Harbour + Partners recommends an education space or social hub where all the growing parts of the tower are visible. Large transparent tanks enable the observation of farmed fish like bass, tilapia and barramundi within the city. 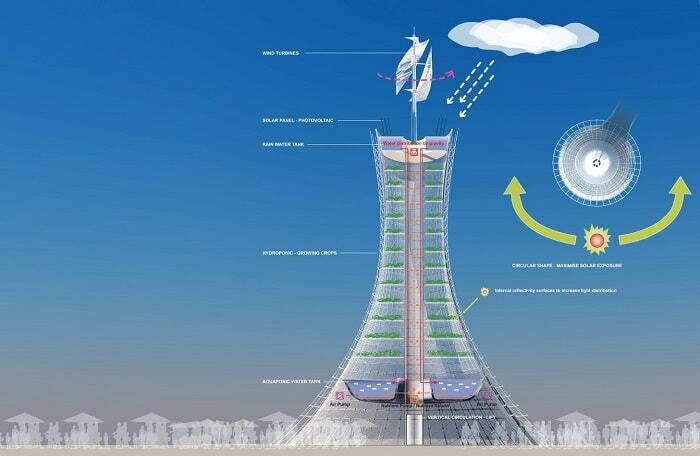 A wind turbine on the top of Skyfarm provides clean energy for the building. With its around 200 employees and offices in London, Sydney and Shanghai, Rogers Stirk Harbour + Partners designs a wide range of building types. Other projects have been recognized with some of architecture’s highest awards, such as two RIBA Stirling Prizes.